A properly insulated house will keep its inhabitants comfortable. 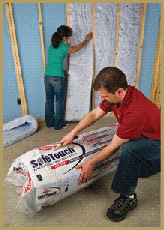 Chosen insulation must be installed properly to touch all six sides of the wall cavity. Some types of insulation-such as foam board and dense-packed cellulose insulation-can be effective at reducing air flow as well as heat flow, fiberglass does not stop air leakage, in older homes, dirty fiberglass insulation is a telltale sign of air movement (it collects dirt like a filter). Insulation represents an inherently green building material because it is designed to save energy. Still, while any insulation is better than none, the many choices present a broad range of benefits, with certain products inherently more ecological than others. 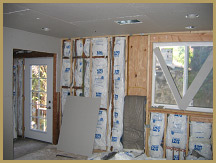 All drywall installations are inspected to insure according to code installations. 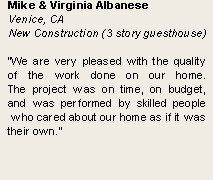 All drywall material provided in our jobs is made in US. 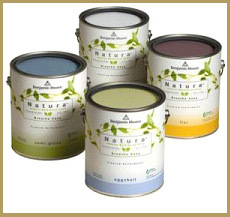 Natura zero-VOC interior paint is available in nearly 3,500 colors (plus limitless color-matching), with a waterborne colorant system that ensures the addition of colorant doesn’t affect VOC content. 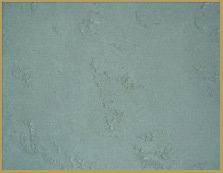 The paint offers excellent hide and durability, dries quickly, is virtually odorless, and is washable. www.benjaminmoore.com. American Clay. Zero-VOC Enjarre spray-on, single-coat plaster provides a hard, durable, fade-resistant finish that is mold-resistant, nontoxic, and creates no on-site waste. 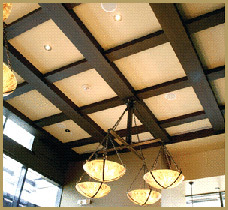 The natural finish comes pre-tinted in a choice of eight colors and can be applied to a variety of substrates. It typically lasts the life of the walls. The surface can be hand-troweled, if desired, to draw out more of its textural properties. www.americanclay.com. 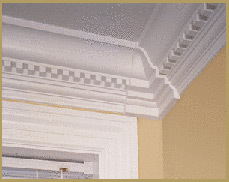 Molding & Millwork, Cornices, Columns, Mantels, Door Surrounds: wood, plastic, composite. The three-dimensional detailing of Kolbe Advantage Select doors is designed to showcase the richness of furniture-grade hardwood veneers. Raised and flat panel doors are available in a wide variety of styles in square, arch or eyebrow configurations, in nine wood species plus a paintable MDF surface. 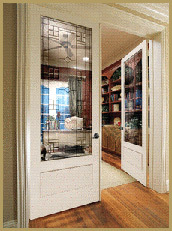 Simpson Door Company announces a new line of Interior Decorative French Doors to satisfy the growing demand for architectural continuity throughout the home and allows customers to match exterior doors with interior door designs. The expansion adds 12 new, full-lite decorative glass designs made of Douglas fir or Western Hemlock and come with the option of six unique inserts. 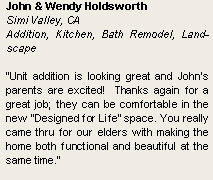 Jeld-Wen Windows and Doors premium wood interior doors with frosted or tinted glass provide both privacy and a light, bright sense of spaciousness. Glass options include special designs and color, which can match any architectural style. A variety of wood species is also available. The Open Pocket Door Hardware Set from L.E. 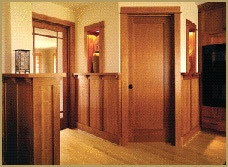 Johnson Products solves the problem of installing a pocket door where they can not slide inside of walls due to obstacles. 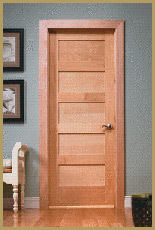 This door is surface mounted outside the wall and handles virtually any door, including solid core doors, of up to 125 lbs. A to Z Construction welcomes you to submit a request for appointment to see our suppliers showroom with over eight thousand square feet display rooms packed with plumbing fixtures, tile, granite, hardwoods, laminate flooring, cork and more. Showroom conveniently located in North Hollywood, off 170 FWY (intersection Sherman Way Blvd and Whitsett Ave). Electrical, A/C & Heating and everything that has to do with those services are being sub-contracted to our trusted specialty licensed electricians, and licensed heating and cooling trusted associates. 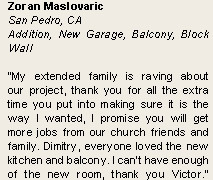 We believe that relationships matter and that they are our most valuable asset when it comes to our clients, employees, suppliers, and sub-contractors. 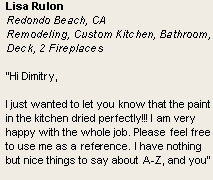 We also like familiar, sociable people that are professional to their core. This is why we use the same sub-contractors for the past nine years. 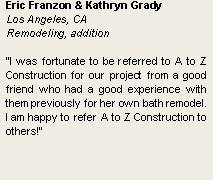 If clients want to use anyone other than our subs and the job city permits are pulled by A to Z Construction, we insist that new subs are pre-screened for their license and insurance, and are qualified to perform the project. Wood-Burning We guarantee to showcase all available, brand name fireplaces and accessories according to each job design specifications. The options are endless and our designers are here to help. 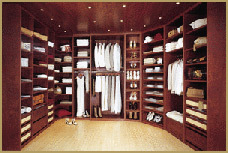 Doorset Closet MÖbel designs custom walk-in closets to specifications Integrated walk in closet systems can include interior lighting, ceiling and wall paneling, benches, built-in dressers and storage island. 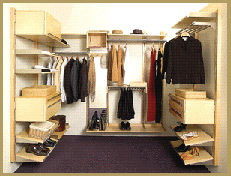 The core concept of Element Closets is a wall mounted railing system on which a homeowner can hook pre-assembled modules. It is designed to be easy by choosing from 40 independent modules. The options are endless and our designers are here to help. We guarantee to showcase all available, brand name products according to each job design specifications.